When things get scary, it's nice to know that Odd is on our side. 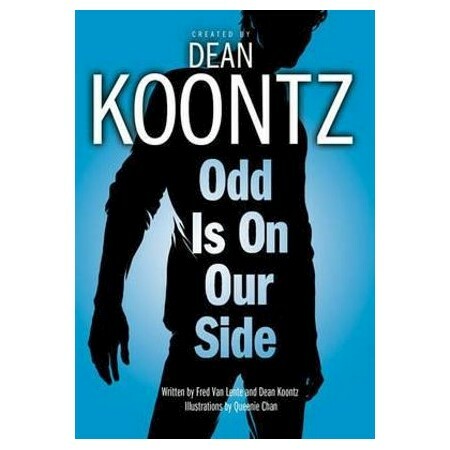 The one and only Odd Thomas is back-in his second edgy and enthralling graphic-novel adventure from #1 New York Times bestselling suspense master Dean Koontz. It's Halloween in Pico Mundo, California, and there's a whiff of something wicked in the autumn air. While the town prepares for its annual festivities, young fry cook Odd Thomas can't shake the feeling that make-believe goblins and ghouls aren't the only things on the prowl. And he should know, since he can see what others cannot: the spirits of the restless dead. But even his frequent visitor, the specter of Elvis Presley, can't seem to point Odd in the right direction.